Don't worry Mister Cellophane's in the world, our pink cello envelope will let you look right through it, but at the same time, always know it's there. You might be able to see what's inside, but the pink will make it pop! The adhesive strip will make it easy to open and the smooth finish will definitely not make you want to let it go. You might even regret giving an envelope like this away. Don't you worry, tugging our pink cello envelope back and forth won't make a difference to its durability. So whoever wins, wins. No sore losers at JAM! Don't let the color fool you, this envelope is as strong as could be. 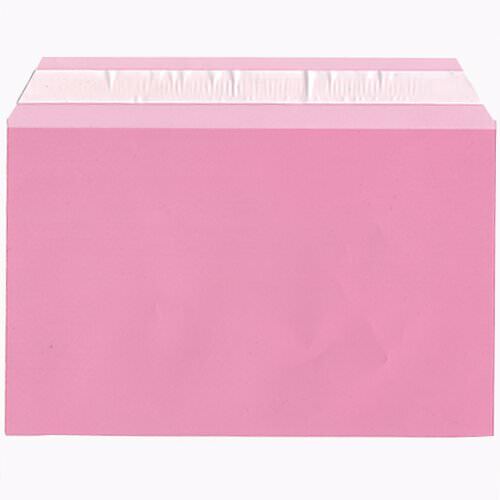 Pink 5 7/16 x 8 5/8 Cello Envelopes will leave those Mister Cellophane's feel much better. A8 pink cello sleeves are approved by the US Postal Service!